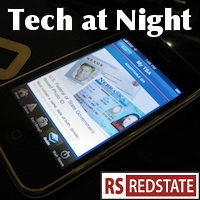 Tech at Night: IP Revolution starts with AT&T, Google’s Eric Schmidt into the Cabinet? Tech at Night: Google back on the Net Neutrality train. Anonymous declares war on Israel. Good news, everyone! Kay Bailey Hutchison and Senate Republicans were able to help defeat the Lieberman-Collins Cybersecurity Act once again. Bad news, everyone! We lost the Presidential election, so President Obama is almost sure to try to defy the Congress, which won’t even pass the idea through one house, let alone both to make it a law. He’s going to try to implement this through executive order! Meanwhile it falls to the Congress to investigate actual foreign threats in the digital theater. Let’s be clear: It’s good what AT&T is doing, by being the early adopter and innovator in the move of our phone system to an IP-based network. Naturally, the media marxists are mad. They’re listing a lot of technical points here, with a lot of jargon and inside baseball, but so much of it boils down to this: if the old phone system dies, how do we maintain government’s grasp on this big chunk of the economy, when so much of the regulation is predicated on the 80+ year old technology continuing to exist? By the way, when we let government take a huge, active role in our utilities, as Public Knowledge and Susan Crawford want, reliability is not as assured as they want you to think. Whether you want it or not though, our phone networks must move into the Internet era, or perish in irrelevance. How about some Google? As a business, Google still isn’t doing badly, even if its prospects seem to have fallen off some. So naturally Government has to hinder that, but what’s interesting is that Google is fighting back in the PR war against government. It’s working some, too, by getting the left mad at government requests of Google to remove content. Meanwhile, in copyright infringer haven New Zealand, German criminal Kim Dotcom restarts his criminal enterprise Mega under the protection of the compliant, bought-off New Zealand government. Apparently promising free Internets, as well as opposing the US government, lets you ignore the law in that country.